I’m looking forward to presenting Friday night at the Snowalkers Rendezvous in Vermont in November. Great weekend experience! “Walking Matters”- From the ages of 57 – 64, “Uncle Tom” thru-hiked four National Scenic Trails. Tom reviews the latest research on the physical and mental health benefits of walking and discusses physical training and cognitive techniques that bolster a greying snow walker’s experience on the winter path. 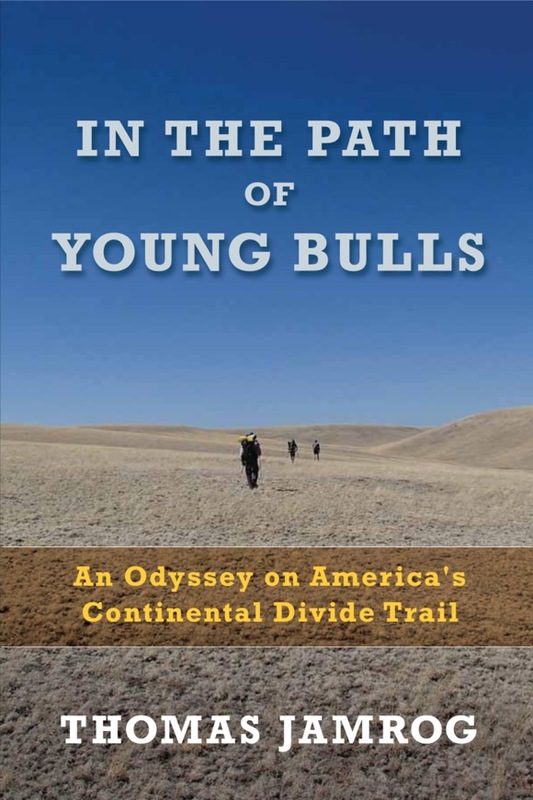 Tom directs outdoor activities through Uncle Tom’s Guided Adventures and is author of In the Path of Young Bulls: An American Journey on the Continental Divide Trail. I’m scheduled to do some unique hiking this afternoon, with my guide, and brother-in-law, Gene, who has been to all six previous years of this event. Gene tells me that, “Cash buys tickets, tickets get exchanged for beer that goes into your souvenir glass. They set up taps all around the small pond on their property… they may have up to ten different kinds of beer – all their own – available. They’ll be live music (free) and a bunch of food trucks and vendors (pay as you eat). In previous years they’ve set up a long plywood wall on the far side of the pond and let a half-dozen graffiti artists from Portland loose on it. Quite cool to watch – lots of talent. And somewhere in the woods will be one or more hidden kegs – find ’em and you can pour a free beer! Goods *IN* The Woods. WOODS-toberfest! 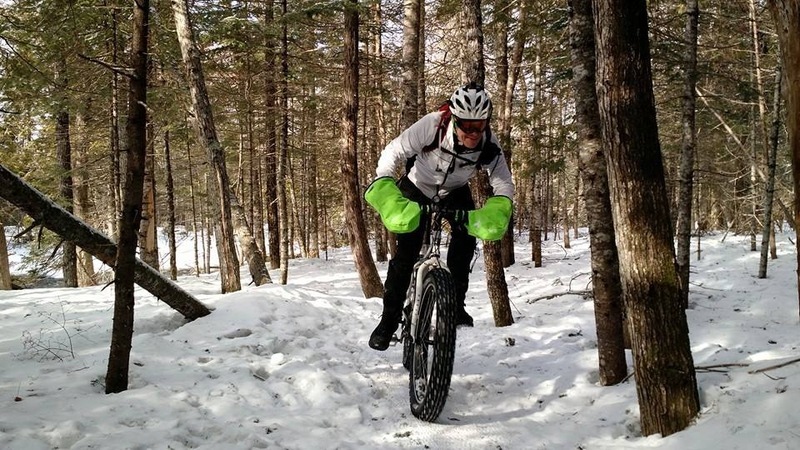 Priming up Strava, to track mileage for this outdoor adventure! Our annual farmhouse celebration is back for the 7th time. Goods from the Woods 2017 will feature plenty of Oxbow beer, great food, music, art… and so much more. This year’s ticket price includes entrance to the party, a branded GFTW glass, your first beer, plus 2 very special bottles of Oxbow beer to take home! Tickets are limited and are guaranteed to sell out so please buy yours now!This event is rain or shine. My First Book is Out ! My first book is back from the printers and ready for reading! The book is also available on Amazon, with the “Look Inside” feature online within a week. The softcover book lists for $ 28.95, with 286 pages, including 34 pages of full color photos. Most pages have two photos. 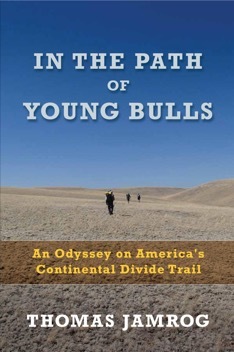 The book builds on my 2013 Trailjournal of my Continental Divide Trail thru-hike. Originally written on my iPhone, additional dialogue and background was added. Over 50 hours of professional editing completed the process. Thanks for your support over the past ten years of hiking! Only 4 days left to register. Make your own multi-fuel backpacking stove! Have fun making a lightweight stove that you can use on day hikes and on backpacking trips. Created from metal cans and fasteners, these downdraft stoves efficiently burn wood, liquid fuel (alcohol), and solid fuel tablets. Each participant will be assisted in drilling, cutting, and fastening component parts to make their own stove, plus receive instruction in lighting and tending the stove. Class size is limited. Registration $20, plus $10 for materials to be paid to the instructor. 1 night 6:00-8:30 p.m. Class Tues 10/17 CHRHS Rm 112.- Instructor Tom Jamrog lives in Lincolnville. Tom has been awarded the Triple Crown of Backpacking for having completed thru-hikes of the Appalachian, Pacific Crest, and Continental Divide Trails. I tuned into Maine Pubic Broadcasting’s Maine Calling show yesterday at 1 pm in order to listen to Bernd Henirich discuss his newest book (he’s published 20), The Naturalist’s Notebook: An Observation Guide and 5-Year Calendar-Journal for Tracking Changes in the Natural World Around You. Listeners and/or readers should check out this 5 minute Vimeo that shows Bernd living in a tiny primitive camp, running and cimbing scary high trees in Maine. I have watched this brief video at least a dozen times over the past few years and continue to be ovewrhelmed with tears every time I revisit it. It just happened again. I’m headed outside to explore the woods. Looking forward to checking out Namakhanta Lake Wilderness Camps for the Columbus Day weekend. The fall foliage is moderate, and 70% full. NLWC has been on my list for years. I love checking out the old sporting camps, and this one has some history. Hope the library is as good as others I have visited, particularly with the rain in the precision. I expect mushrooms will be presenting and hope to forage a few choice specimens.